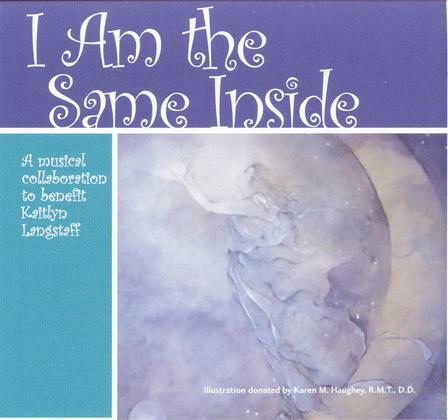 The I Am the Same Inside benefit CD includes songs from all the artists that performed at the March 1, 2003 concert as well as two brand new songs; one based on Kaitlyn’s poem “I Am the Same Inside.”. The poem talks about Kaitlyn’s feelings and how she just wants to be a normal child. The song is performed by the Bay Area pop/rock band Miggs. This song is the title track for the benefit CD. The other new song titled “Miracle of My Life” was written by progressive rock veteran Robert Berry, who was inspired by Kaitlyn and everybody who has come together to help. The song is performed by Rachel Lauren.